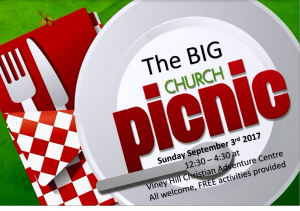 Thanks to everyone who came along to our first Big Church Picnic. Free outdoor activities for 7 years and upwards. Crafts available for under 7’s. Bring your congregations and your lunch, refreshments provided. Or, just come on your own and meet up with others from around the area.